This is a pretty good math puzzle! 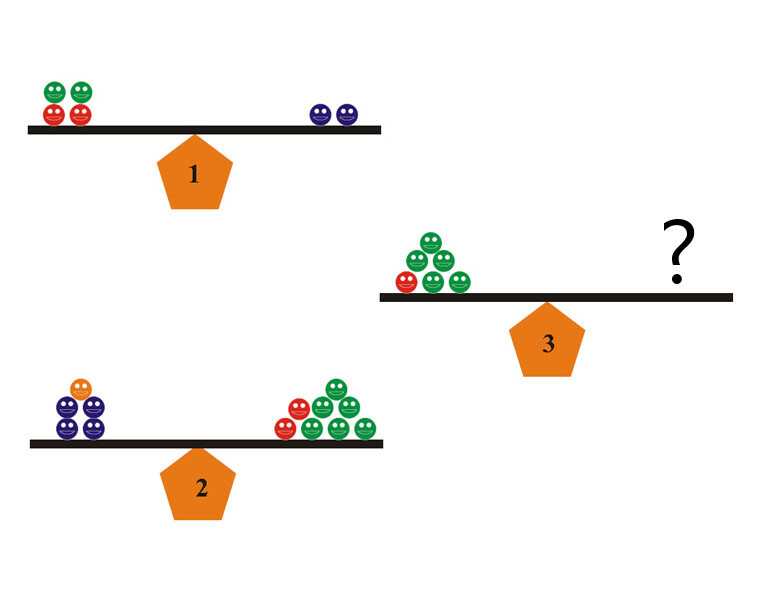 It involves balancing out these colored balls when given two sets of balanced balls. This is actually very similar solving a system of equations. Can you solve it?